B.A. ( Wellesley College), M.Sc., Ph.D. (University of Toronto, Canada). Astrophysicist, Harvard-Smithsonian Center for Astrophysics (retired) . Most recently she has been a staff scientist at the Chandra X-ray Center , where she worked in user support and ran the Einstein (Chandra) Post-Doctoral Fellowship Program . Over her career she has taught at Erindale College of the University of Toronto, been a resident Astronomer at the IUE satellite and was associate director of the Space Astrophysics Laboratory at the Institute for Space and Terrestrial Sciences, York University . Dr. Evans has published over 90 refereed journal articles. This work has appeared in such journals as Astronomy and Astrophysics, Astronomical Journal, Astrophysical Journal. 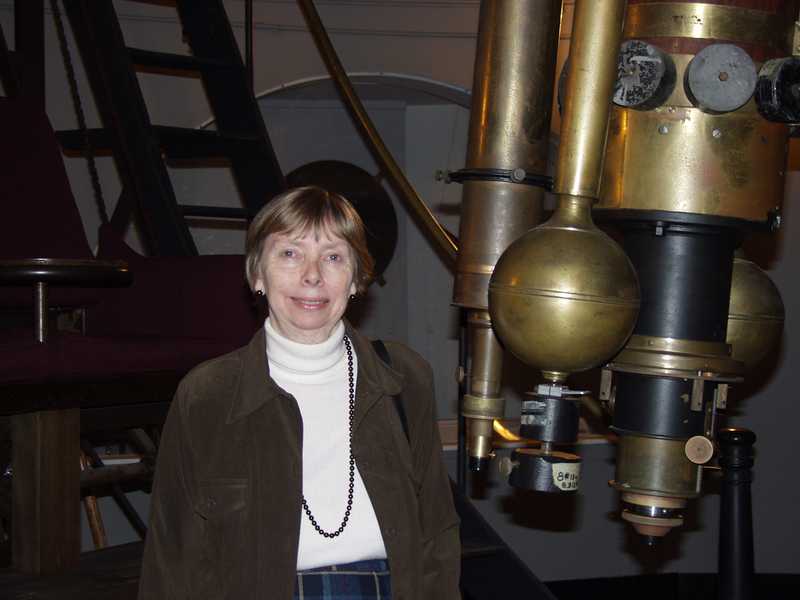 Nancy Evans is a Member of the American Astronomical Association and the Canadian Astronomical Society. She also belongs to Sigma Xi and the Association of Women in Science.